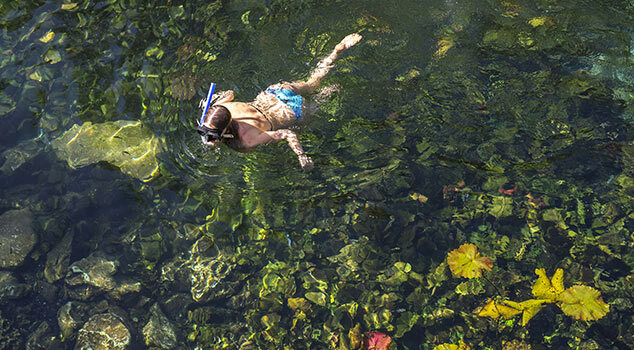 Everywhere you turn in Cancun there’s another adventure. From sublime nightlife to thrilling snorkeling and scuba diving to sightseeing tours, Cancun is the spot for lifelong memories. And in between those adventures? Some of the best beaches and resorts imaginable. So take advantage of United Airlines® many flights to Cancun and book your all-inclusive vacation package today. Make sure to leave extra room in your suitcase for a souvenir or two (or three or four). 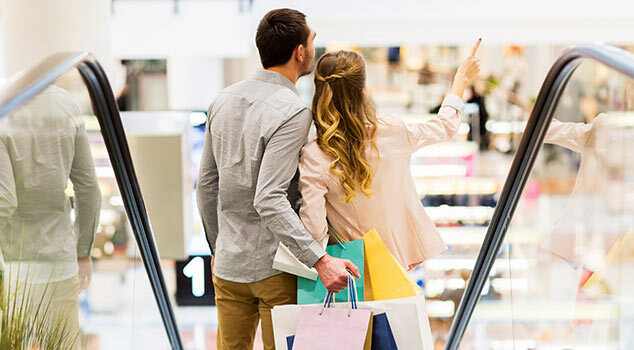 With dozens of boutique stores and a modern outdoor mall, there’s no end to high-end shopping options. Throw in renowned restaurants — look up dinner at Las Casa Del Chef — and nightlife, and you have the promise of a partygoer's paradise. We’ll start here — you have to check out the MUSA, Cancun’s Underwater Museum of Art. Whether you are into scuba diving, snorkeling or glass boat tours, you’ll be treated to a unique view of over 470 statues in an underwater sculpture garden. It is awesome. Plus, with parasailing tours and deep sea fishing, there’s no shortage activities that will capture your imagination. Cancun isn’t just for night owls and thrill seekers. 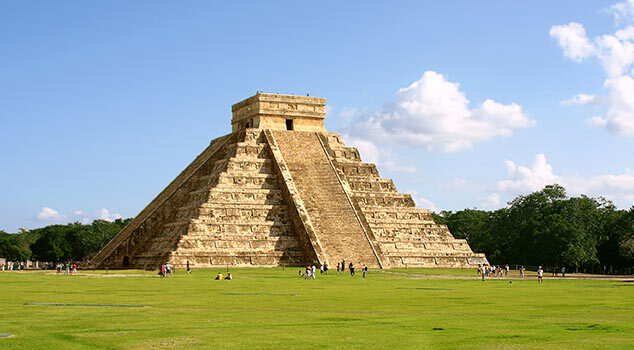 Take a family trip for a taste of true Mexican culture with a visit to the Mayan ruins at Tulum and Chichén Itzá. Plus, with opportunities to swim with dolphins or splash in a water park, there’s no shortage on kid’s activities. 3 (3) Toggle including or excluding 3 nights packages, 3 deals match this criteria. Resort info: To live like a rock star means never being far away from the action. The all-inclusive Hard Rock Hotel Cancun puts you right in the middle of it. Resort info: Blending contemporary architecture with sophisticated accommodations, this hotel provides the perfect vacation getaway for couples and luxury seekers. Resort info: Sleek and chic, Cancun’s ultra-modern Beach Palace offers a welcoming blend of service and style that is ideal for everyone.